Use the form below to contact accommodation Villa Mary directly. 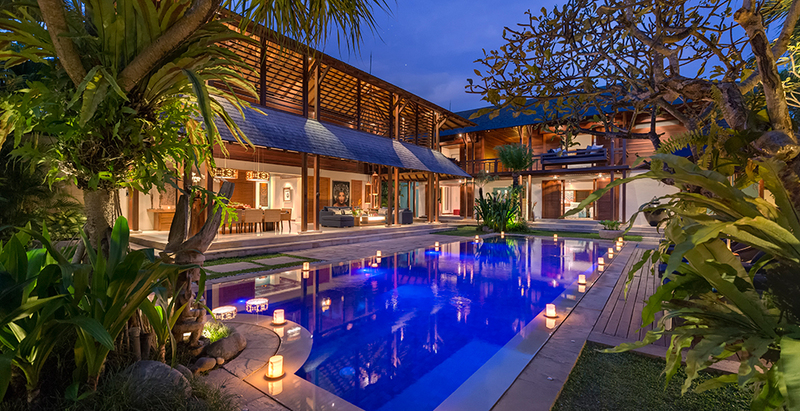 Villa Mary with its 5 master ensuite bedrooms, spacious living areas and beautiful grounds is ideally situated on the Pererenan beach known only to a few experienced surfers and a few local Balinese. The sunsets are stunning and never to forget. 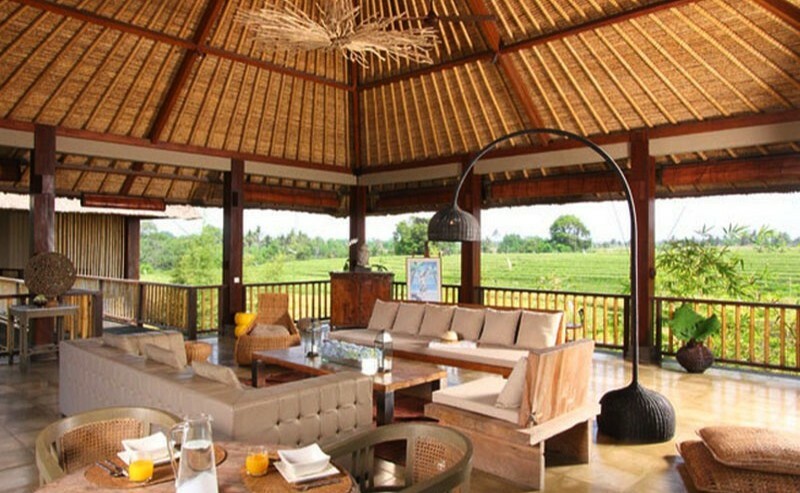 The villa offers a true bali experience, surrounded by rice fields, a temple and small local village close by. 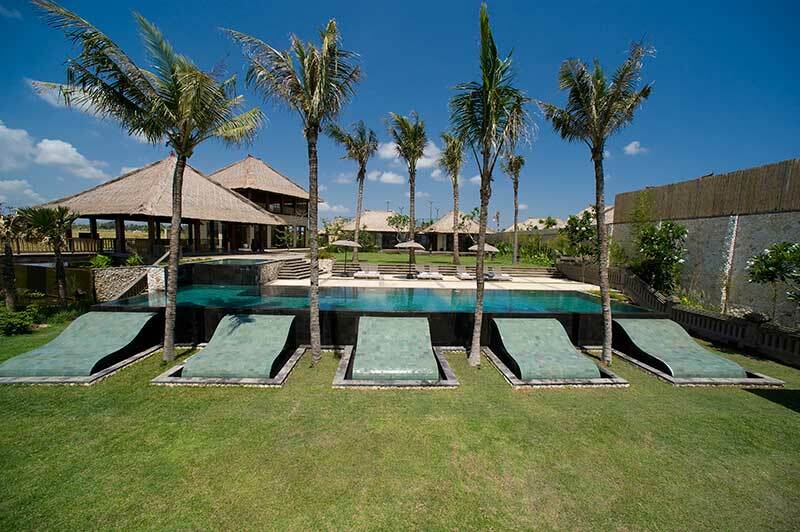 All the hot spots of Seminyak are on only a 30 minutes drive and the Greg Norman-designed Nirwana golf course is only 4 km from the Villa. These downstairs bedrooms do not benefit from the same kind of sea views as the rest of the bedrooms; however they are more private in that they are separate stand-alone buildings that are about ten metres away from the structure of the main house. 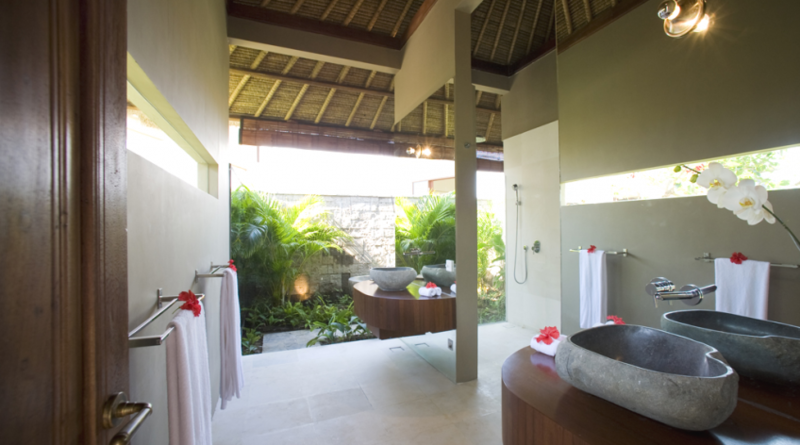 They also both benefit from outdoor as well as indoor showering facilities. Extreme care has been taken to ensure that every view into these rooms has been carefully shielded from the outside so no one can see into the private areas of the bathrooms. Villa Mary comprises two pools: One adult pool, perfect for relaxing and fitness measuring 20 metres, and another 10 square metre shallow pool for toddlers and infants. Both pools are chlorine free and kid friendly. A heated Jacuzzi near the beach-front also holds up to six adults. The 50 square metre space can be thrown open with French windows and plays host to the finest cuisines in the world, from local Balinese fare to French, Italian or even Japanese, prepared for you by your own private chef and staff in the comfort of your air conditioned dining room. Nestled on the edge of where Villa Mary’s beautiful green lawn ends and the majestic beach and ocean begins is the lovely massage pavilion. Drift off to the cathartic sounds of the waves crashing against the shore as you enjoy any number of ?spa treatments from a massage to manicure. Just ask your butler to arrange for a massage or beauty therapist to visit. This breezy living room and lounge is open to the gentle sea breezes and caters to the most elegant of cocktail gatherings as it opens onto an oasis of fresh air, pool and ocean. It measures 100 square metres. There is also a second unenclosed living room on an upper level that has exceptional rice field views measuring 45 square metres. Villa Mary has a tennis court with an all weather surface and night lighting for all guests to enjoy. A selection of fitness equipment is also available should you want something more strenuous than long beachwalks to keep in shape. The entire estate is covered by an unlimited WiFi satellite broadband system which is yours to enjoy while you are our guest. Each of the villa’s bedrooms is equipped with a telephone, capable of local and international calls. Your Balinese staff is unobtrusive and discreet but ever friendly and helpful. Your butler, who acts as major domo and concierge, also manages your household staff. The team counts in total 12 members. All at your service between 07.00 in the morning and 23.00 at night. They will be involved in housekeeping, garden, pool and chefs. Next to this there is professional security team 24 hours. If you has a pleasant stay you are allowed to tip the staff. The team will appreciate & accept this as a thank you from. Best to hand this over in one envelope, so all staff will get an equal share. We want you to feel as free in our villa as you would if it were your own. That means you choose what food, soft drinks, beers, wines and spirits you want to enjoy, you set a budget, and you give your butler the money to cover your shopping. Your butler arranges your purchases from local markets and delicatessens, etc. There is a 15% handling fee for any shopping we do on your behalf. Our team of three chefs provides an eclectic menu selection offering Western, authentic Indonesian and other Asian cuisine. However, the culinary experience is not limited to the suggested menus. You are actively encouraged to spend time with the Villa Manager and chefs and develop a menu that reflects your own particular tastes. There is no premium or surcharge for the preparation of your meals. Villa Mary guests have complimentary use of a car and driver for up to 8 consecutive hours a day, exclusive of petrol. Your Balinese staff is unobtrusive and discreet, but ever friendly and helpful. Your butler, who acts as major domo and concierge, also manages your household staff. All bedrooms have their own 37 inch LCD television screen with satellite TV programming, DVD and Bose sound system. iPod docks throughout the villa are connected to speakers throughout the villa and the garden. 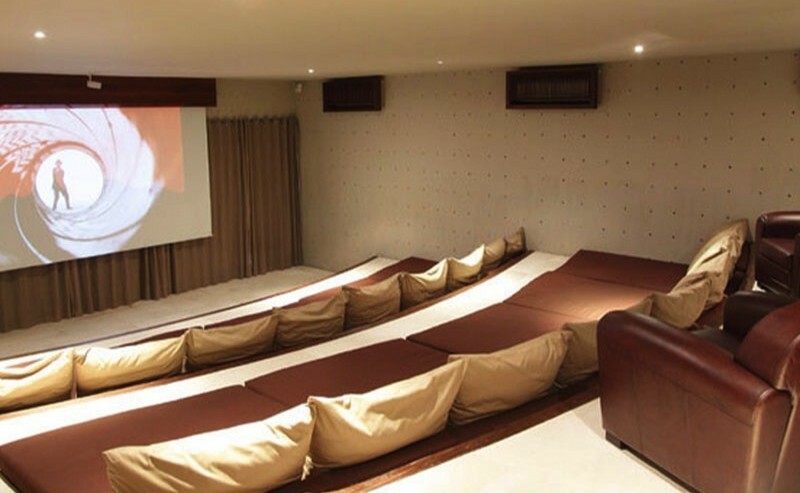 There’s a substantial media room with a High Definition movie projection system, plus a library of the latest films on dvd. The entire estate is covered by an unlimited WiFi satellite broadband system which is yours to enjoy while you are our guest. The staff will be more than happy to help you with any questions you may have. Bed linen, mosquito nets and house towels are supplied. A full laundry service is provided. Dry cleaning is available from outside sources. 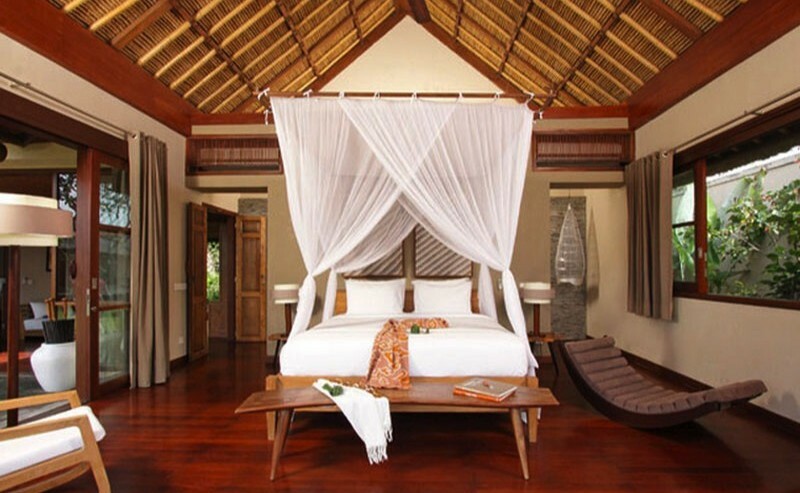 Each of the villa’s bedrooms is equipped with a telephone, capable of local and international calls. 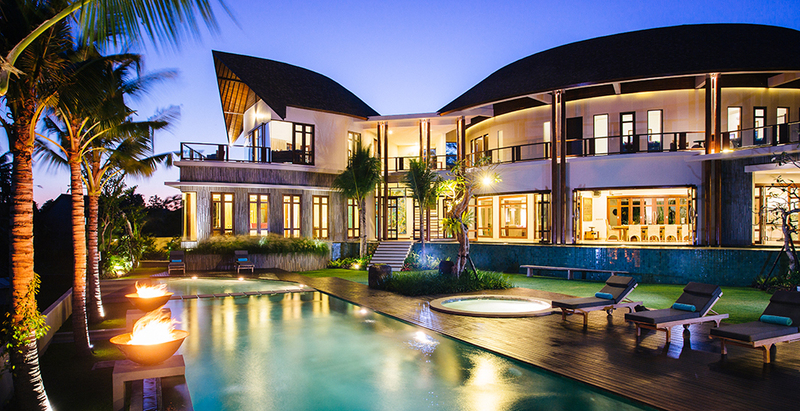 Calls between all rooms and between other villas are gratis. Local or international calls are charged at cost. There is a fax machine in the main office, which all guest are welcome to use. There are highly-trained and unobtrusive security guards on duty round the clock. Safety Boxes in all bedrooms. Villa Mary’s water is drawn from a deep well, then filtered and treated with ultra-violet to make it completely drinkable directly from the tap. Still mineral water is also available as a matter of course. Guest reviews are written by our customers after their stay at Villa Mary. Great Villa. We stay at Villa Mary at Pantai Lima in September 2015. We had the best holidays ever. The villa was absolutely beautiful and very tastefully decorated. The view on both the Indian Ocean and the rice terrasses was stunning, not to mention the romantic sunset. This is the perfect place for couples with friends and children who want the luxury of a 5* hotel and the privacy of your own villa. A bit far from Seminyak. But Ali the driver took us ther in about 20 Minutes. 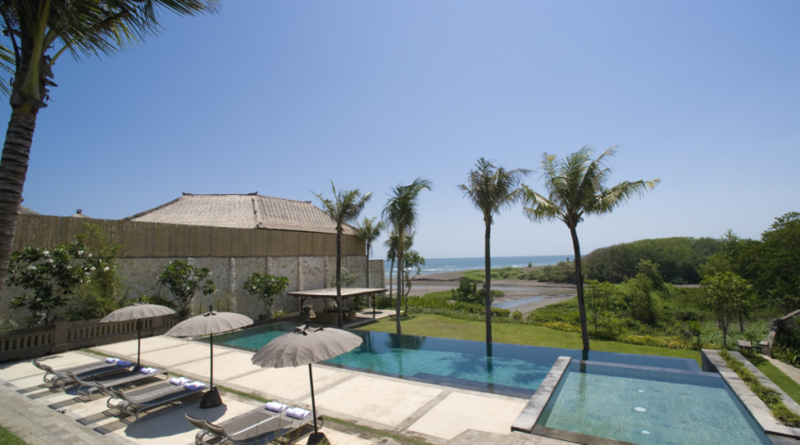 Being just 8 degrees south of the equator, Bali has a fairly even climate year round. With sunshine shining throughout the year, Bali has a tropical monsoon climate, with pleasant day temperatures between 20 to 33 degrees Celsius or 68 to 93 degrees Fahrenheit. Rainy season starts from October to March, when the West monsoon brings heavy showers and high humidity. June to September is considered the driest season, with low humidity and it can be fairly cold in the evenings, the best time for any outdoor activities. 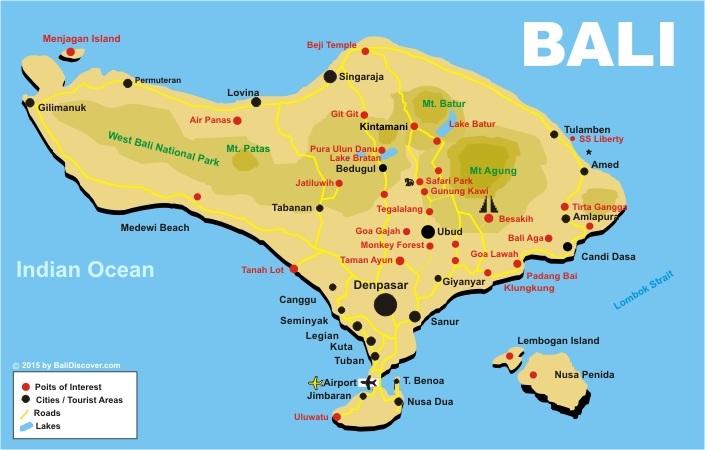 Unlike most of Muslim-majority Indonesia, about 83.5% of Bali’s population adheres to Balinese Hinduism, formed as a combination of existing local beliefs and Hindu influences from mainland Southeast Asia and South Asia. Minority religions include Islam (13.3%), Christianity (1.7%), and Buddhism (0.5%). These figures do not include immigrants from other parts of Indonesia. Balinese Hinduism is an amalgam in which gods and demigods are worshipped together with Buddhist heroes, the spirits of ancestors, indigenous agricultural deities and sacred places. Religion as it is practised in Bali is a composite belief system that embraces not only theology, philosophy, and mythology, but ancestor worship, animism and magic. It pervades nearly every aspect of traditional life. Caste is observed, though less strictly than in India. With an estimated 20,000 puras (temples) and shrines, Bali is known as the “Island of a Thousand Puras”, or “Island of the Gods”. This is refer to Mahabarata story that behind Bali became island of god or “pulau dewata” in Indonesian language. Balinese word for temple is ‘pura’ which means ‘space surrounded by a wall‘. Although many temples are quiet and uninhabited, they are transformed into colorful, active and decorated places of worship when there is a festival. While offerings are made, performances of traditional dances and gamelan, cockfighting and gambling enliven the atmosphere. All temples derive their direction from the mountains and the sea. The direction toward the mountains, Kaja, is the most significant direction. The direction toward the sea is Kelod. The direction toward the sunrise, Kangin, is found in most secondary shrines. The current chapter in Bali’s history began in the seventies when intrepid hippies and surfers discovered Bali’s beaches and waves, and tourism soon became the biggest income earner. 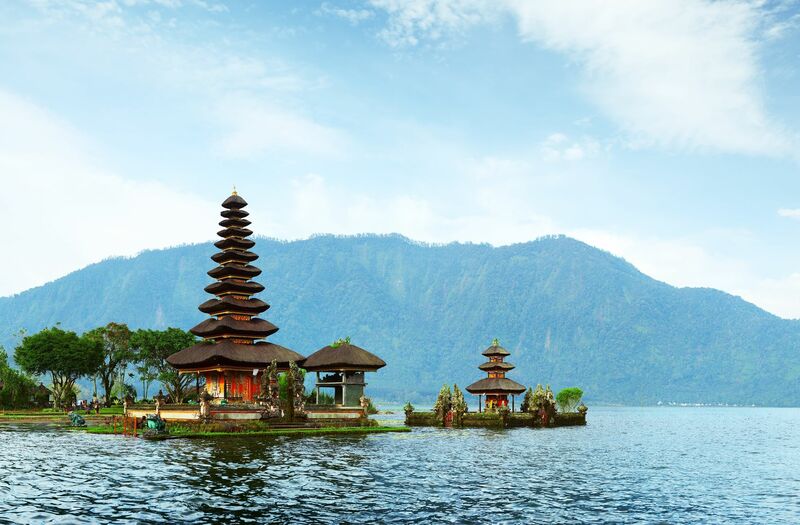 Despite the shocks of the terrorist attacks in 2002 and 2005, the magical island continues to draw crowds, and Bali’s culture remains as spectacular as ever. 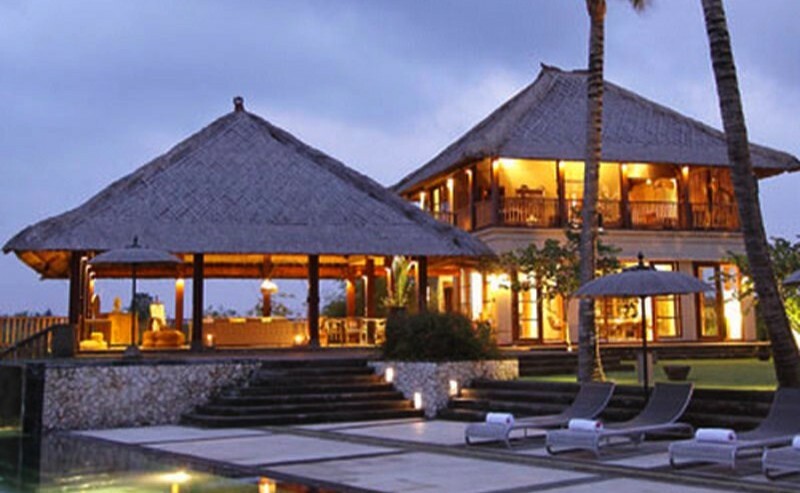 Please find our Bali Hotel List here. 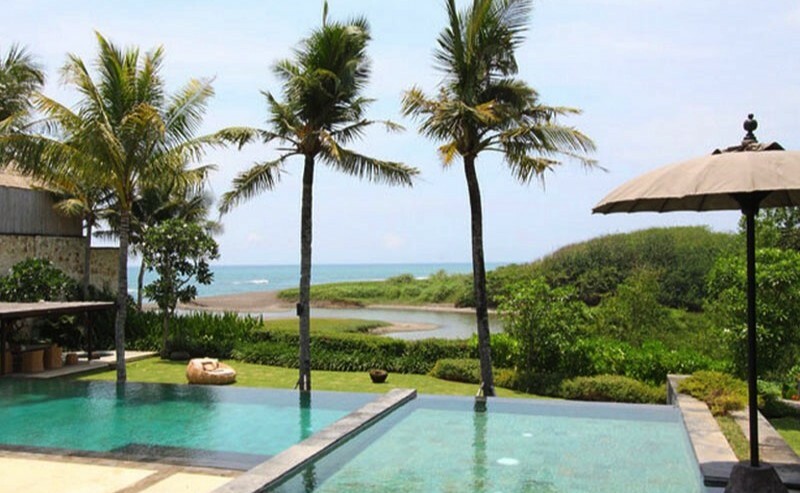 Why not stay in a private luxury Bali Villa ? Besakih - The Besakih Temple, known as Bali’s ‘Mother Temple’ for over 1,000 years, sits 1,000 metres high on the southwestern slopes of Mount Agung. Besakih is an artistic and unique complex that comprises at least 86 temples which include the main Pura Penataran Agung (the Great Temple of State) and 18 others. Besakih is the biggest and holiest of the island's temples and is surrounded by breathtaking and scenic rice paddies, hills, mountains, streams, and more. Pura Besakih features three temples dedicated to the Hindu trinity. Pura Penataran Agung in the centre has white banners for Shiva, the destroyer; Pura Kiduling Kreteg on the right side is with red banners for Brahma, the creator; and Pura Batu Madeg represents Vishnu, the preserver, with its black banners. Pura Besakih is the only temple open to every devotee from any caste groups. This is because of its nature as the primal centre of all ceremonial activities. Uluwatu Temple – Pura Luhur -- Imagine a large rugged limestone cliff with a temple perched on it, almost like a scene from cliffhanger, to add to it’s dramatic grandeur. It is situated in the island commonly known as Bukit Peninsula, where it also include Bali’s few best beaches like Balangan and also has many good surfing spots. The temple is itself a majestic structure, constructed and expanded by many famous safes since in the 11th Century, it perched at the steep cliff of 70 meters above the Indian ocean. If you go even higher grounds nearby, you will be rewarded with breathtaking view of either side and sunsets over Uluwatu temple itself. Pura Tanah Lot - Another majestic rock formation that lays as a foundation of a popular pilgrimage temple. It is most popular for its serenity and cultural significance as it is associated with the Balinese mythology as one of the seven temples that form a ring in the southwest of Bali. Try to go there during low tide so that you can experience walking across the water to the temple for the full experience. Pura Ulun Danu Bratan (Bali’s temple by the lake) - This is the famous temple by the lake in Bali, where instead of like the rest perching on the cliff rock, this one is serenely resting at the edge of Lake Bratan. Imagine beautifully structured temple with double the beauty due to reflections of the clear lake. 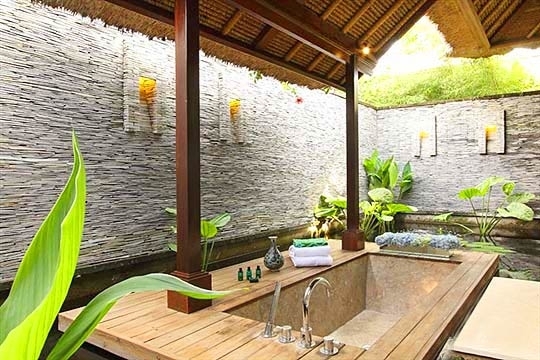 Ubud - Yes despite that one might be trying to escape the eat, pray, love trail, Ubud is one place you cannot miss. It is still the heart of Bali, where all the action is and all the people and energy are focused on. Ubud is packed and condensed with the best of Bali, ranging from nature, culture and people, temples, museums, rolling rice/paddy fields and man-made gardens and parks. You may take a interesting bike tour around here or take up cooking, adventure activities like whitewater rafting and other outdoor activities, relax yourself with yoga and meditation or have some pampering of spas and massages and also enjoy arts and theatres and not to forget shopping. Just so you see Ubud have a little bit of everything for almost everyone. The Ubud Art Market, locally referred to as 'Pasar Seni Ubud' is located opposite the the Puri Saren Royal Ubud Palace and is open daily. Here you can find beautiful silk scarves, lightweight shirts, handmade woven bags, baskets or hats; statues, kites and many other hand-crafted goods. Taman Ayun Temple - in 1634, the temple is the only temple complex exposing the Balinese traditional building structure, Meru. Taman Ayun, means beautiful garden, located in the village of Mengwi, 18km west of Denpasar, is indeed one of Bali’s most picturesque temples. The King of Mengwi, I Gusti Agung Anom, built is stately proportioned courtyards and large surrounding moat in the year 1634. Containing both the Royal family ancestral shrines and the strayed Meru shrines to the major deities, Taman Ayun became the main temple for the ancient Kingdom. Tegallalang Rice Terraces in Ubud is famous for its beautiful scenes of rice paddies involving the subak (traditional Balinese cooperative irrigation system), which according to history, was passed down by a revered holy man named Rsi Markandeya in the eighth century. 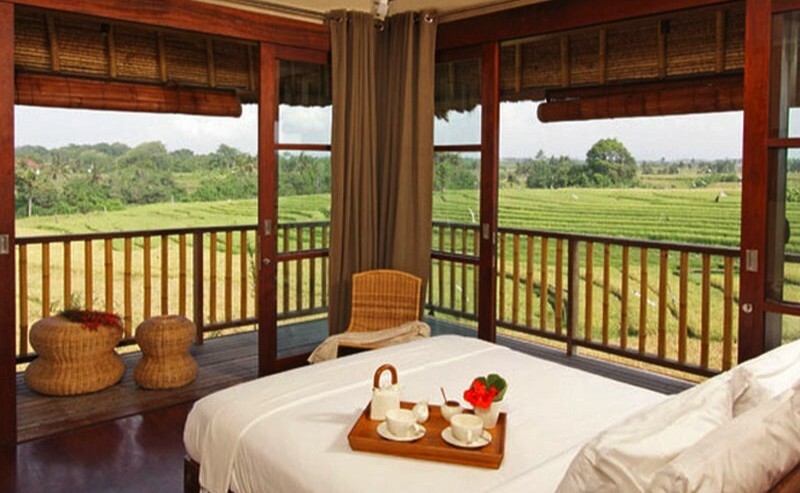 Tegallalang forms the three most splendid terraced landscapes in Ubud's shared region, with the others being in the villages of Pejeng and Campuhan. Tegallang alone has an outlook that spreads down before you and away to the rice terraces on the slopes across the valley. The high roadside location is cool and breezy and it is a well-known spot for tourists to stop and take photos. Kintamani Volcano & Mount Batur - Bali volcano, also known as Kintamani volcano and Mount Batur have been the most favorite tourist destination in the central mountains area of Bali. With the magnificent view of its caldera, and also the beauty of Lake Batur which fills the large part of the caldera, the crater of Mount Batur is the central interest of the place which is estimated to have 13 square km size. The view is the main reason to come here. Surrounded by the captivating nature of Mount Batur, you will find plenty more reasons to linger in the crater itself, and be sure to also take in the joyous winding road along the lake shore to Toya Bungkah, Pura Ulan Danu Batur, or even the hot springs. The Kehen Temple is located in Bangli regency, about 40 KM away to the eastern part of Denpasar City, just north of the town of Bangli. Kehen is one of the largest temples in Bali, and a stirring example of the virtuosity of the stone-carvers of the region. Goa Gajah - The eleventh century cave built on the hillside is one major tourist attraction close to Ubud-Gianyar road. Besides the cave which is the key attraction, the traditional bathing pool and a number of ancient stone relics fulfill the curiosity for some mystical experience. Monkey Forest, Ubud - A number of temples in Bali are well known for being the residences of monkey population. Name one is the monkey forest in Sangeh Village, 21 KM away from Denpasar. The resident monkeys are told to be the guardians of Pura Bukit Sari. If the surfs have not break your bones yet, you may want to try yet another adventure in Bali. Climb the famous Mount Batur, a volcanic mountain that rise over a lake which beautifully mirrors it. Kecak dance is one of the traditional dance and musical drama in Bali that is enchanting and favourite among travelers. Kecak dance have 150 performers wearing check cloth around their waist chant the word “cak” while throwing up their arms in depiction of the battle of Ramayana, with roots of the dance dating back to sanghyang, a trance-like exorcism dance of the old. Ayung river, right down inside the Ayung gorge, is very scenic for a white water rafting. 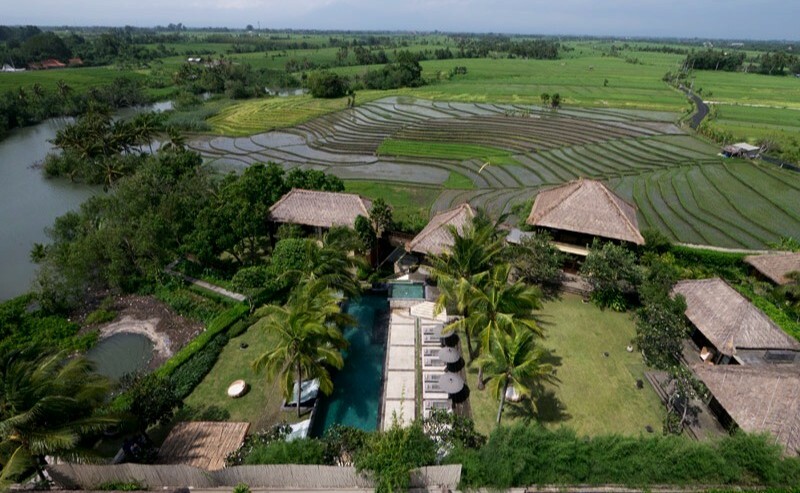 Imagine yourself rafting through the very heart of Bali, with you riding the wild rapids through rice paddies, people working the fields and children playing. You will feel like your are traveling in speed and style through a motion picture of the hidden part of Bali. There are two well established operators that you can find at the main road in Sayan, but there are also other new operators which open up in recent years. There are many cycle tours popping up in Bali now simply because it is such a wonder to explore Bali this way. For those who rather go independent, you may also rent a bicycle and do your own exploring to your heart’s content. Please see our cycling tours ! At Jimbaran Bay, you may walk down along the beach and find it dotted with warungs and candle-lit tables like mushrooms after rain. Here you can dine on prawns, squids and fishes fresh of the sea onto your table, almost literally. Couple it by feasting over a sun setting over the horizon make this authentic setting much more atmospheric. While Bali have so much to offer on land and beaches and mountains, do not forget the marvels of what’s under the sea. Here the sea is full of wild marin life such as manta rays and turtles while surrounded by beautiful coral reefs. For the best snorkeling experience, take a boat out the coastline to Lembongan Island, where the reefs surrounding it are spectacular. Here divers can also experience a 40 m drop off into the wonders of the sea. The Balinese knows their arts well and they celebrate in style. Bali Arts Festival is an annual event, normally held from June to July. This is a well known event throughout the world where travelers from all over the world travel to Bali to catch this festival of a full month of daily cultural performances, handicraft exhibitions and many more arts related activities. Please see our tours to explore the real Bali ! !